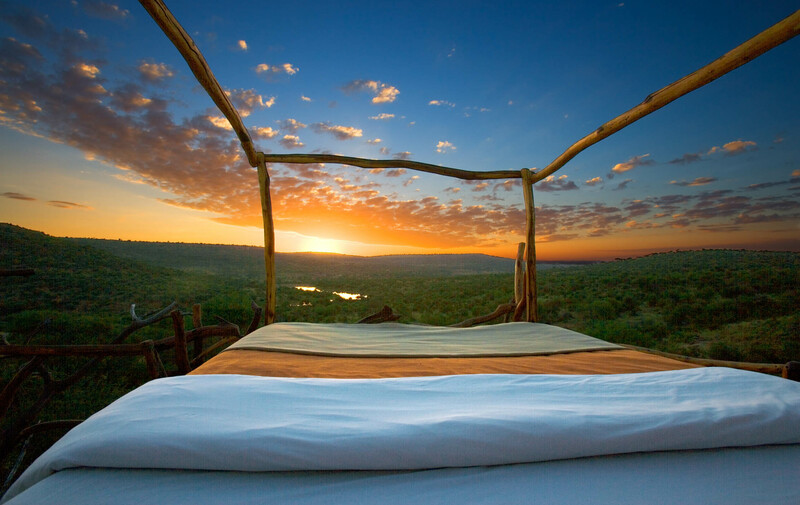 The Loisaba “Star Beds” are a unique experience and a not-to-be-missed delight. 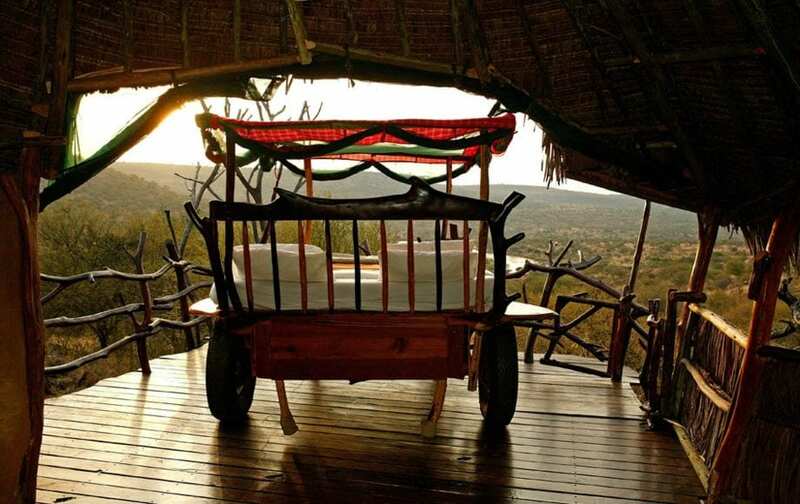 Four-poster beds are set on sturdy, handcrafted raised wooden platforms under thatched roofs, which are wheeled out onto a deck with complete privacy… and only the boundless equatorial night sky for a ceiling. 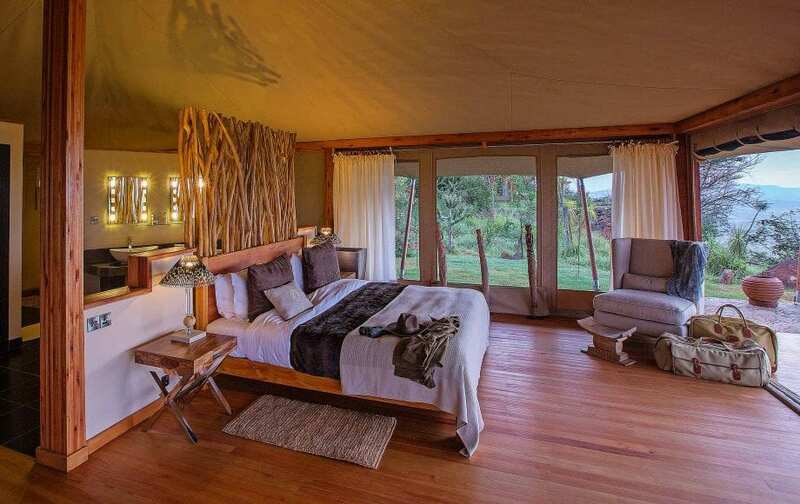 There are two sets of Star Beds, each on their own in the wilderness with a full staff on hand, an open-air dining area with a full bar, a bathroom and shower, and a phenomenal view of the river and the wilderness beyond—nothing else in sight. 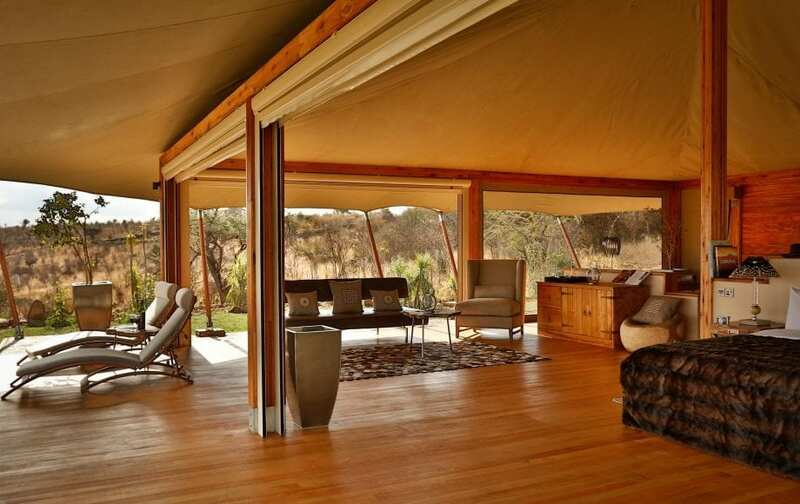 This is the very definition of rustic luxury. 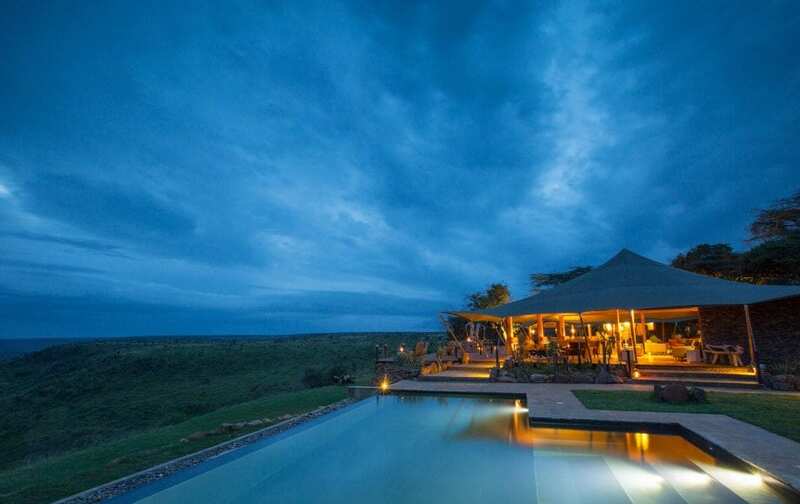 Loisaba was originally the Kenyan home of the late Count Ancilotto of Italy. 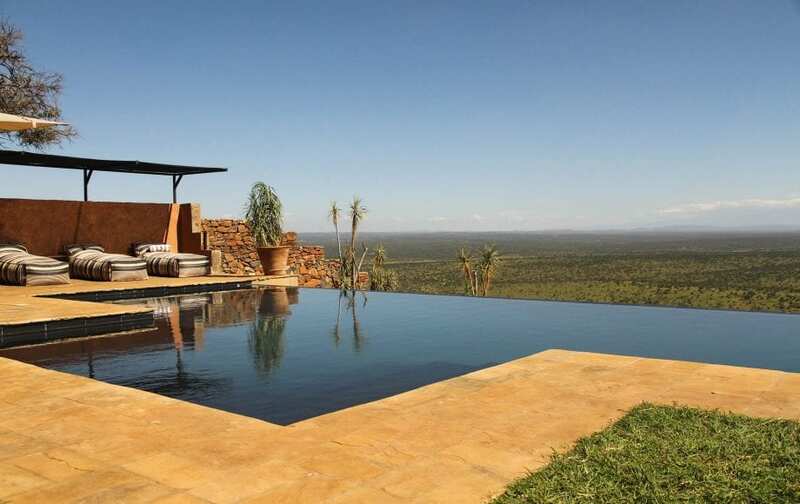 Now its 60,000 acres of wilderness are open to elite travellers, and the property still reflects the exquisite taste of its original owner. 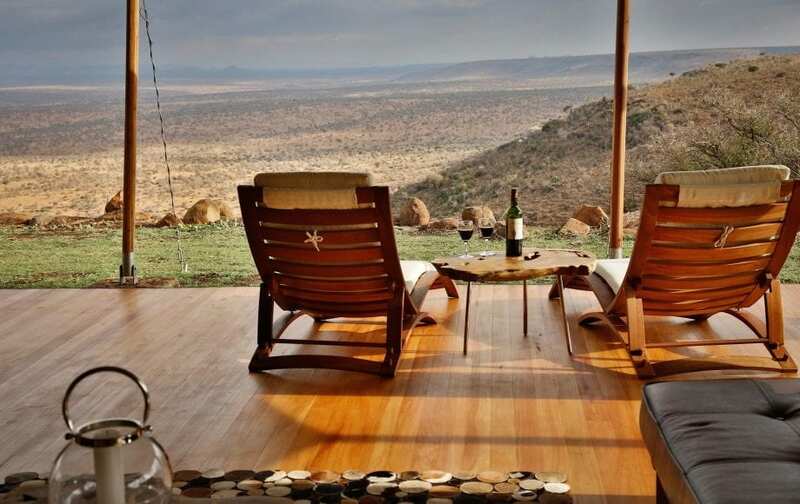 Built on the edge of an escarpment, the lodge looks out on a fascinatingly diverse landscape: acacia trees and prickly pear cacti, giraffe and striped hyena, all appear in sharp relief in the clear mountain air. 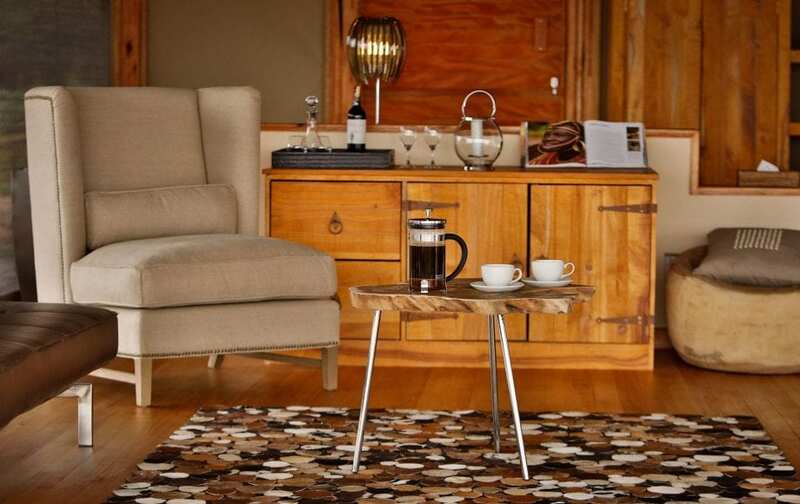 Guests have a choice of a fully-staffed private cottage, house or the delightful lodge. 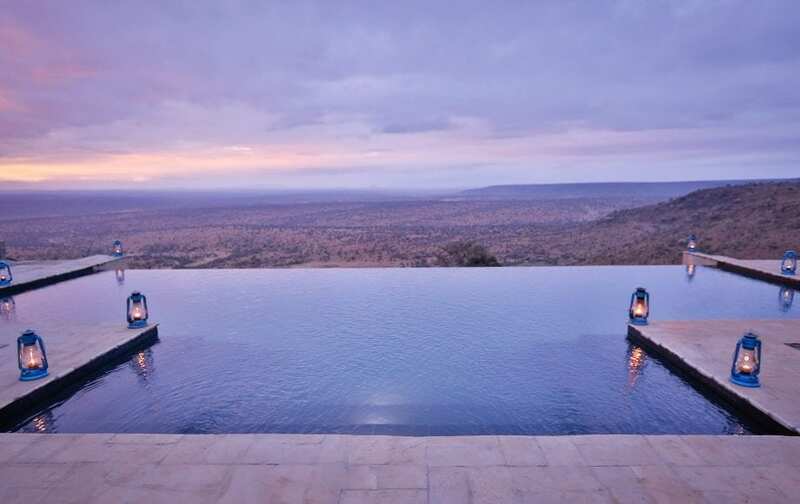 Wherever you are, you’re assured a private veranda with a stunning view, a swimming pool large enough for laps, warm fires on cold evenings, and impeccable service—staff so on-point that they replace your drink before you even notice that the ice has begun to melt. 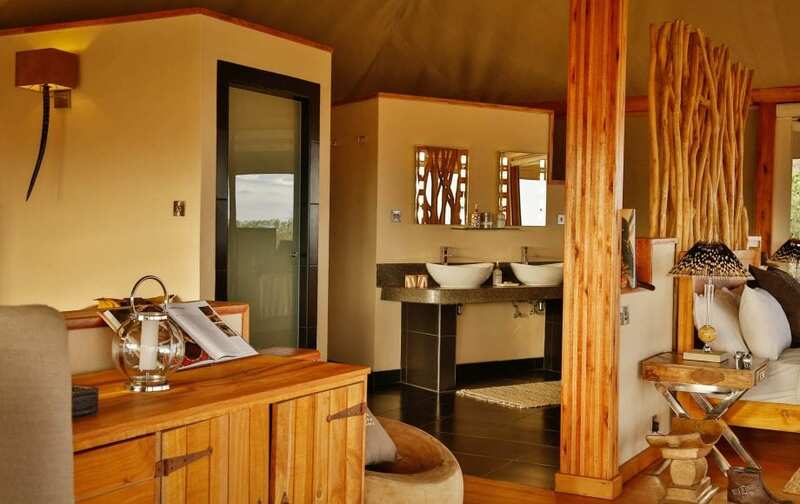 The lodge hosts a renowned spa, and their massages are truly delightful. 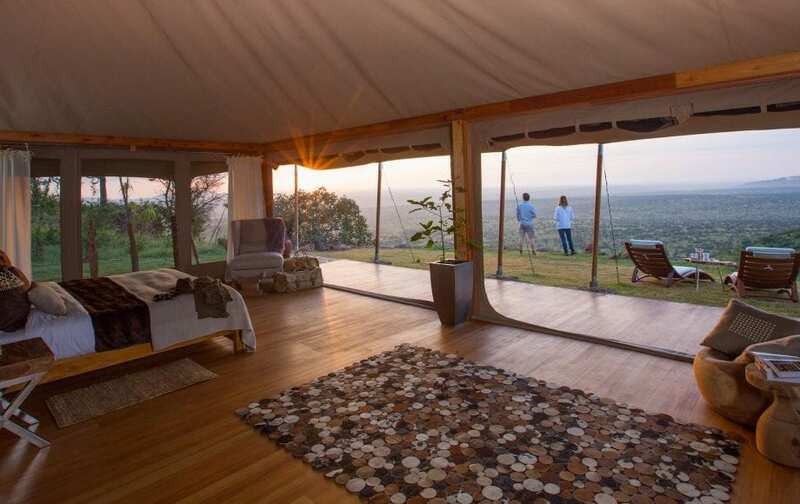 They also provide an array of on-property activities, from bocce and croquet to yoga and tennis, and even the opportunity to watch big cats from the safety of a leopard blind. Loisaba is happy to host families and children, and in fact, children under five stay free. 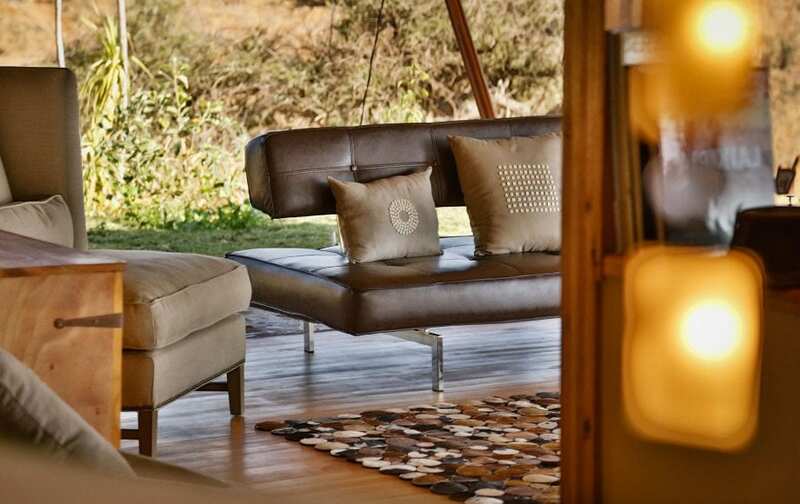 We do recommend the Loisaba Cottage for families: this private residence with its own staff and facilities will make your family truly feel at home. 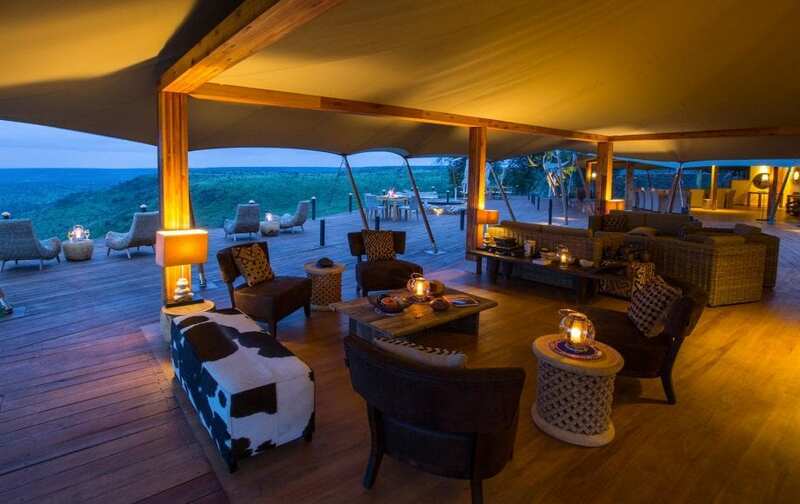 Loisaba offers so many ways for guests to rejuvenate that the only barrier is your imagination! 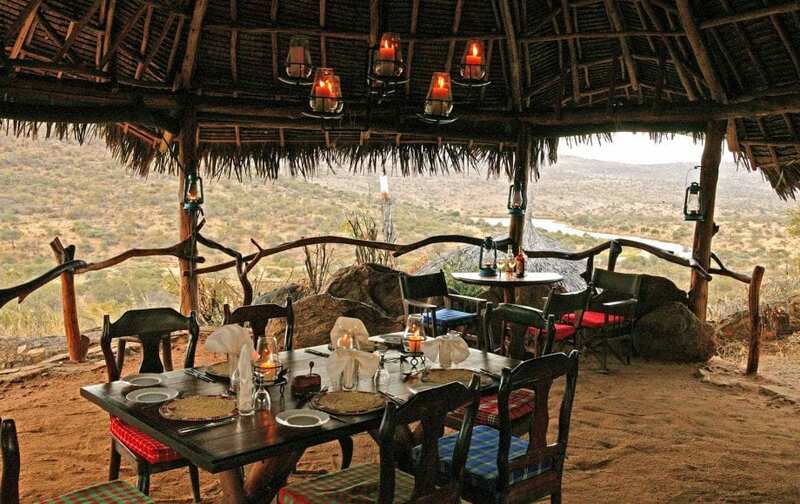 Of course, there are always game drives aplenty, but intrepid travellers can also trek through the bush on camels—a perfect transport in the dry land. 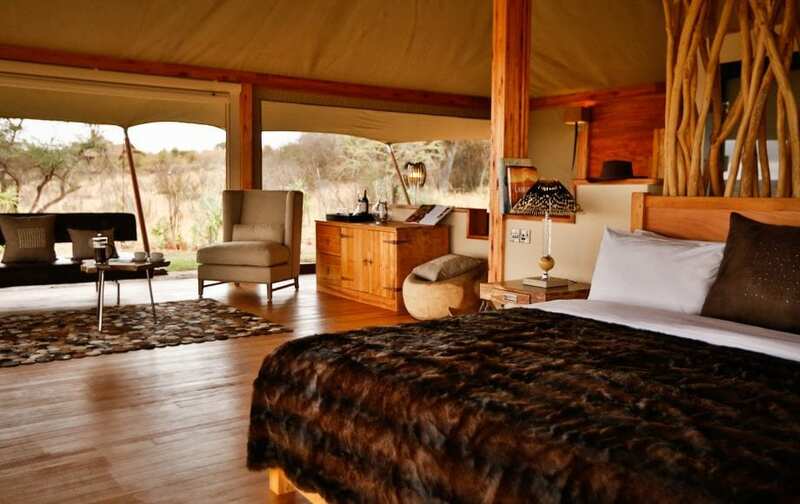 Or perhaps ride along on horseback with a herd of zebra, finding your way through a graceful forest of giraffe or a herd of elephants. Looking for more adventure? 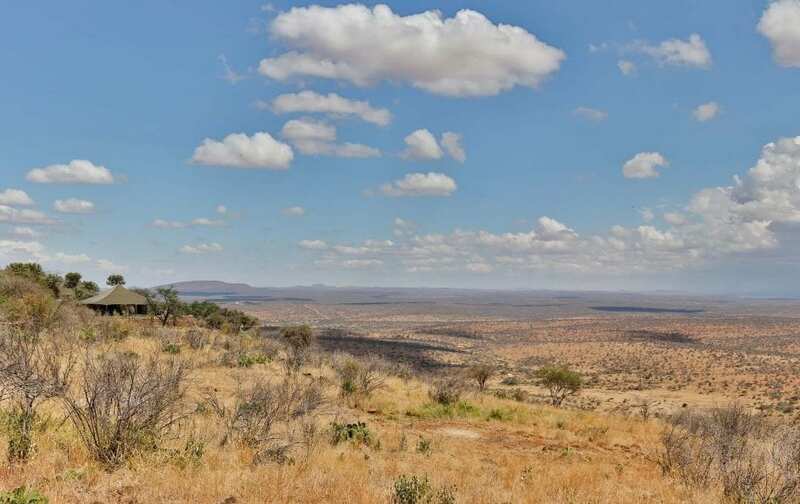 Try the stimulating mountain bike ride down the escarpment, river rafting, or a drive through the wild canyons of the two rivers that span the property. To get a feel for the different terrains, you can both rock climb the soaring pinnacles and surf the remote sand-dunes of the Northern Frontier District. 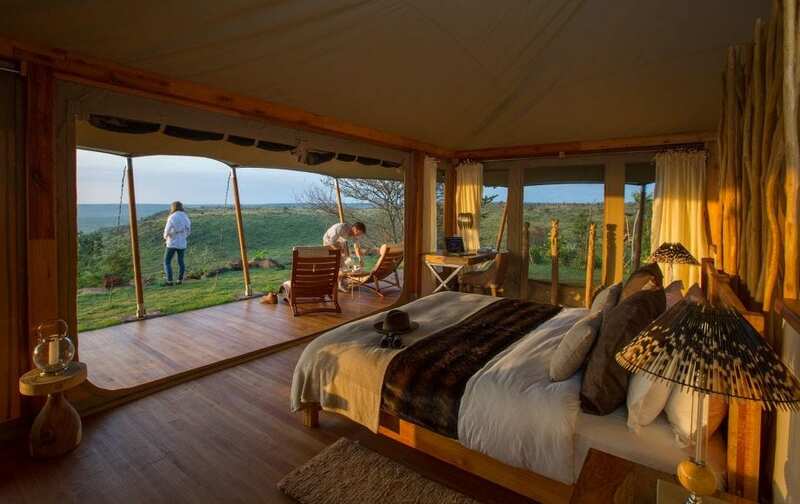 The ultimate in wilderness adventure, offered only at Loisaba in East Africa, is heli-camping. 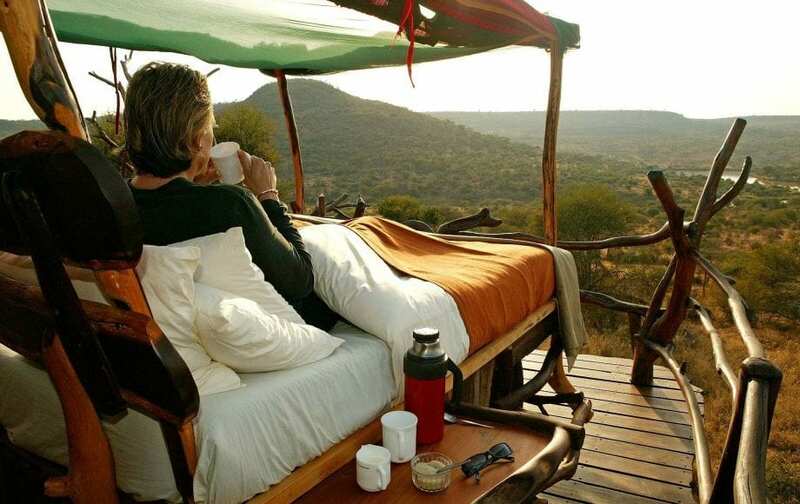 And don’t miss the breathtaking excursions on a private charter helicopter to fish for rainbow trout on Lake Alice, soar 11,500 feet up Mount Kenya, land in the sand dunes of the northern deserts for a sundowner, or fly up the side of the sacred Ol Olowki’s rising cliffs to have breakfast on the peak. 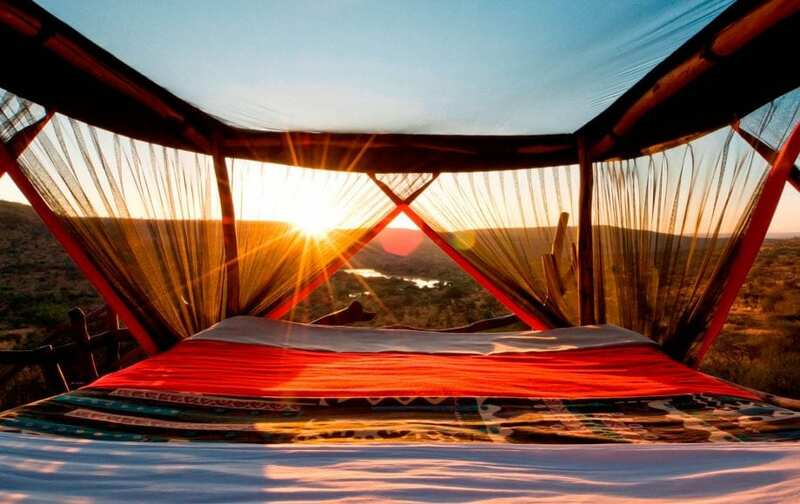 This is Africa at its adventurous best!